Voting In Your Swim Trunks: Why Not? 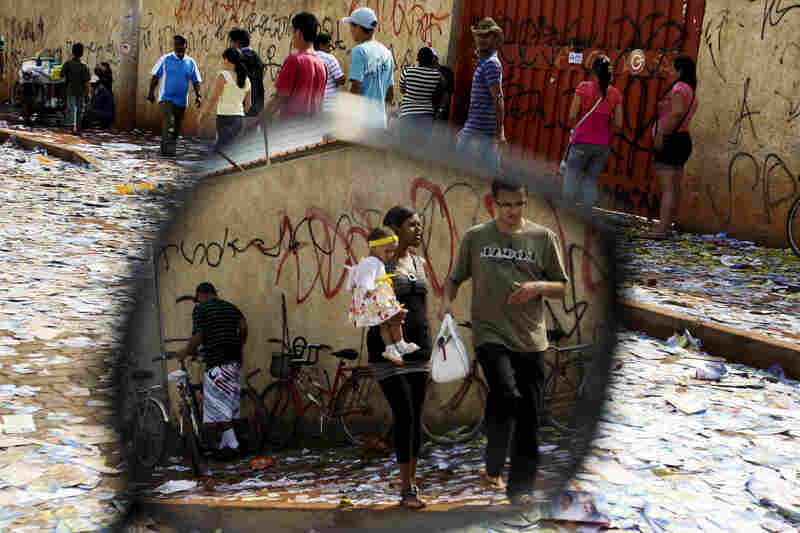 : The Picture Show There are many diverse ways to vote around the world; see a gallery of just a few. Voting In Your Swim Trunks: Why Not? In Russia, winter swimming enthusiasts leave a polling station after casting their presidential votes near the icy waters of Novosibirsk, 2012. 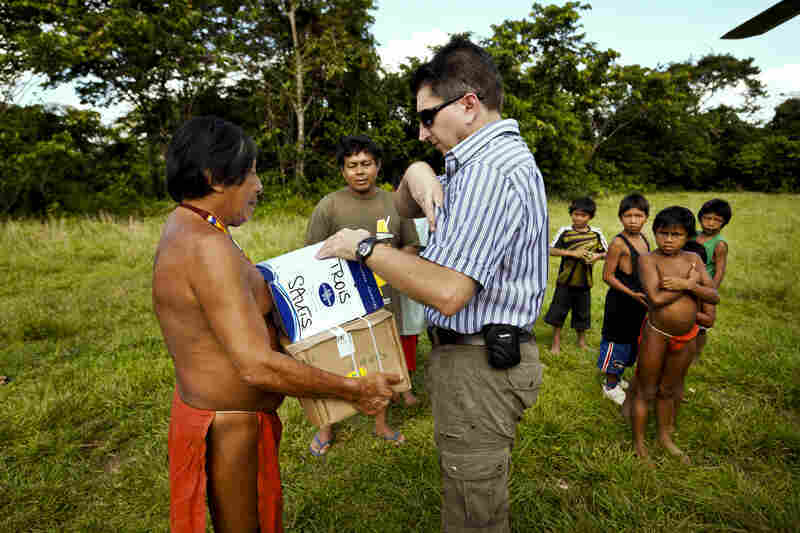 In French Guiana, ballot materials are taken to the territory's most isolated villages by helicopter. French civil servant Patrick Arnaud (center) delivers parcels in the village of Trois Sauts in 2012, for the second round of the French parliamentary election. To ensure holiday-goers a chance to vote in Romania, additional polling stations are set up near resorts along the Black Sea coast during a presidential impeachment referendum in 2012. Voters cast ballots in municipal elections in Saudi Arabia. In 2011, King Abdullah of Saudi Arabia granted women the right to vote and run in municipal elections — but not until 2015. 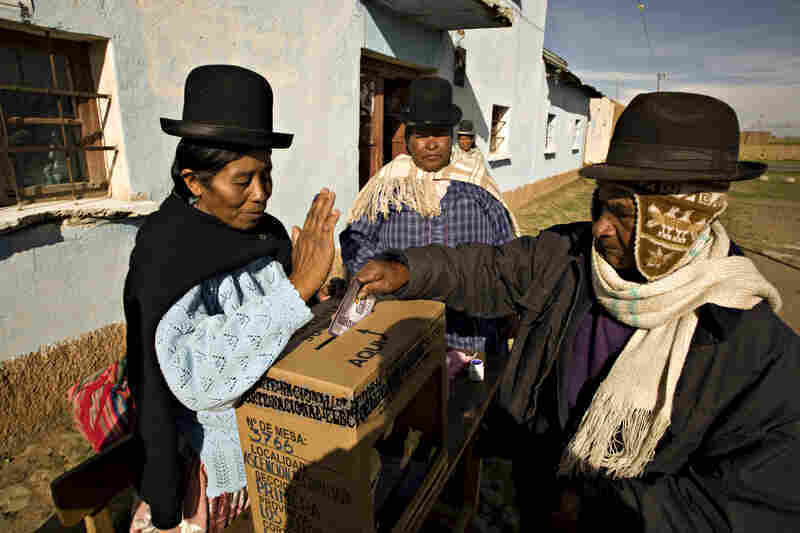 In Bolivia, a voter casts a ballot on a referendum for a new constitution in the rural town of Chipamaya outside La Paz in 2009. 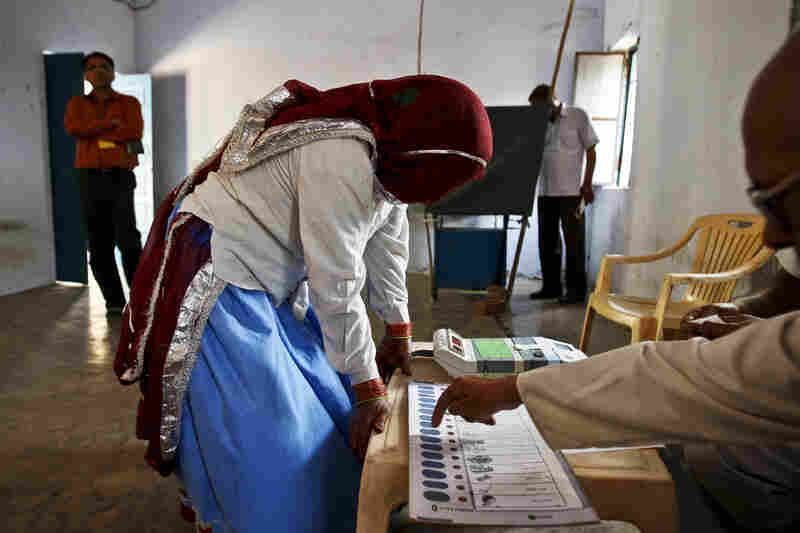 A Hindu woman learns how to use an electronic voting machine at a rural polling booth in Kot, Haryana, India, 2009. 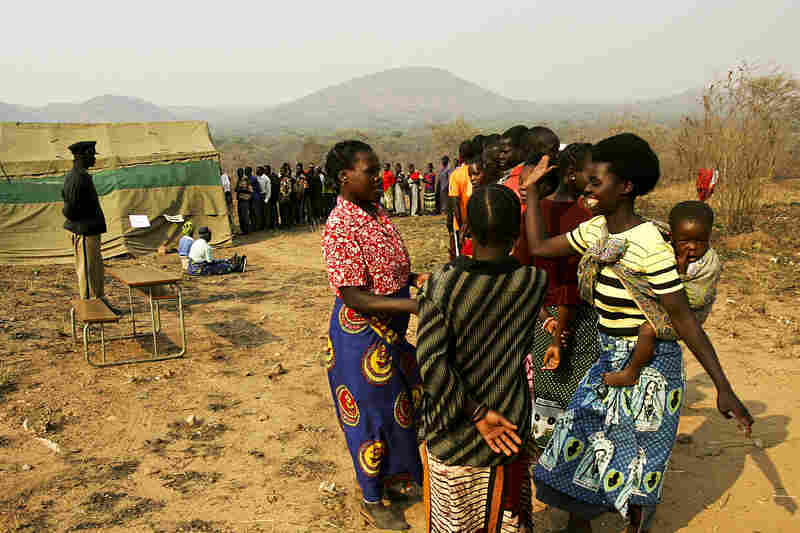 Voters in Zambia stand in line at a polling station in the village of Palabana during the country's general elections, 2006. Voters line up in front of a polling station installed in a public school near Brasilia, Brazil, 2010. 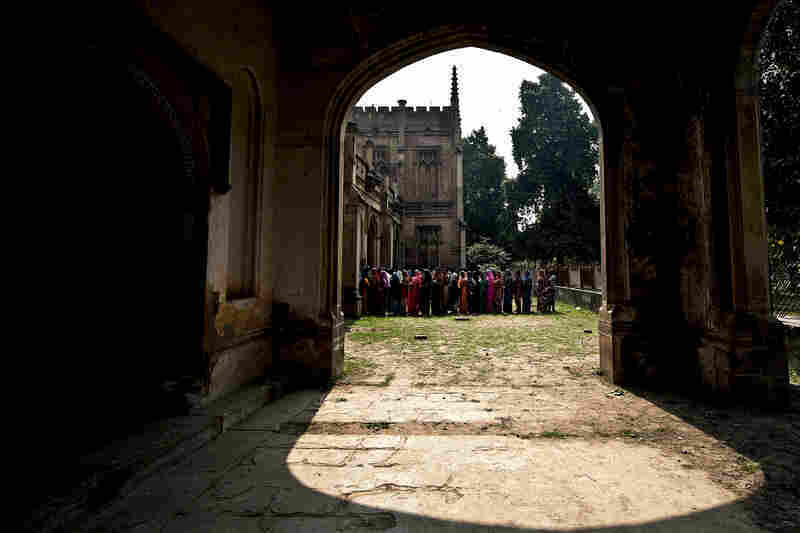 Women stand in line to vote during state elections in Varanasi, India, 2012. 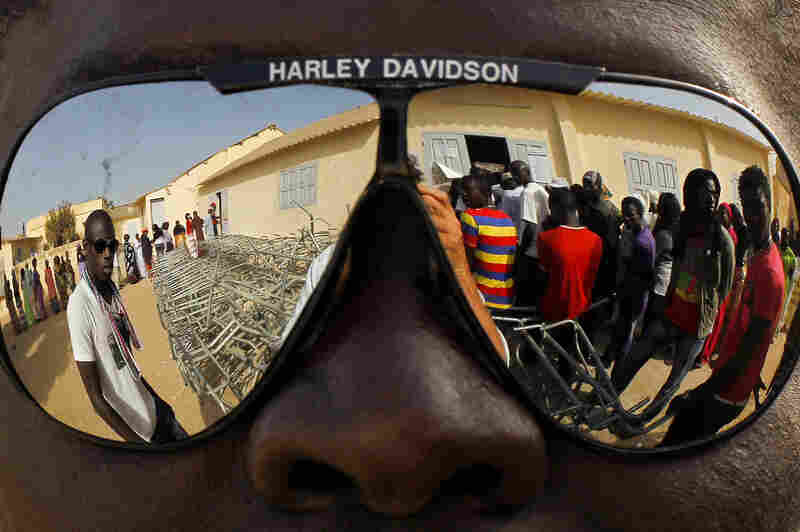 Voters in Senegal, reflected in a pair of sunglasses, wait to cast ballots in the presidential election in Senegal, 2012. 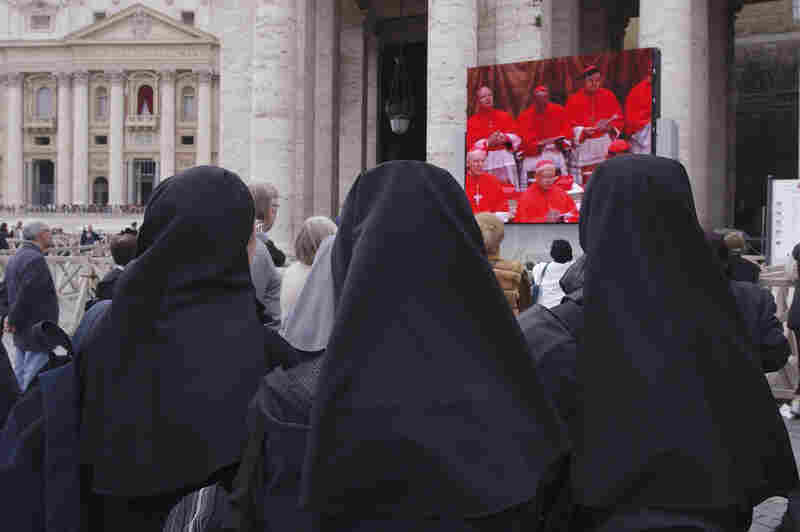 Nuns outside the Vatican watch a telecast of cardinals deliberating at the Papal Conclave to elect a new pope in 2005. The government of Vatican City, an ecclesiastical state, is overseen by the pope of the Roman Catholic church, who can only be elected by male cardinals. 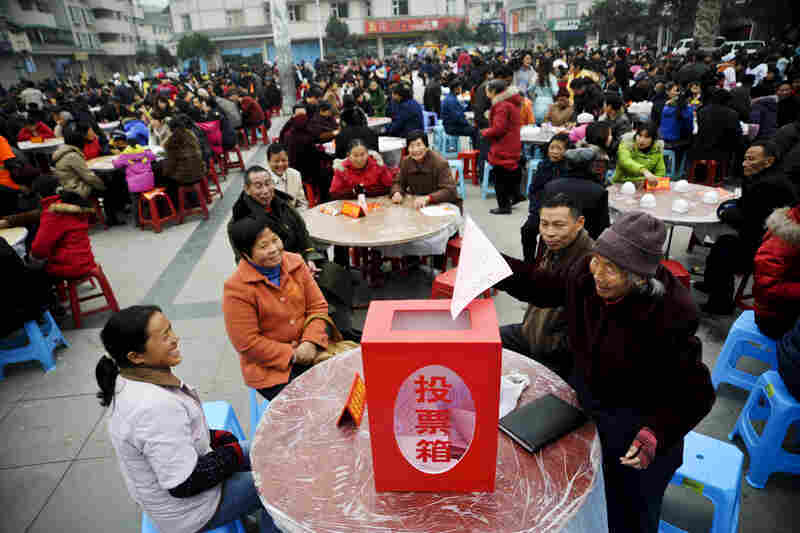 Villagers submit forms during a poll in Sichuan Province, China, 2009. 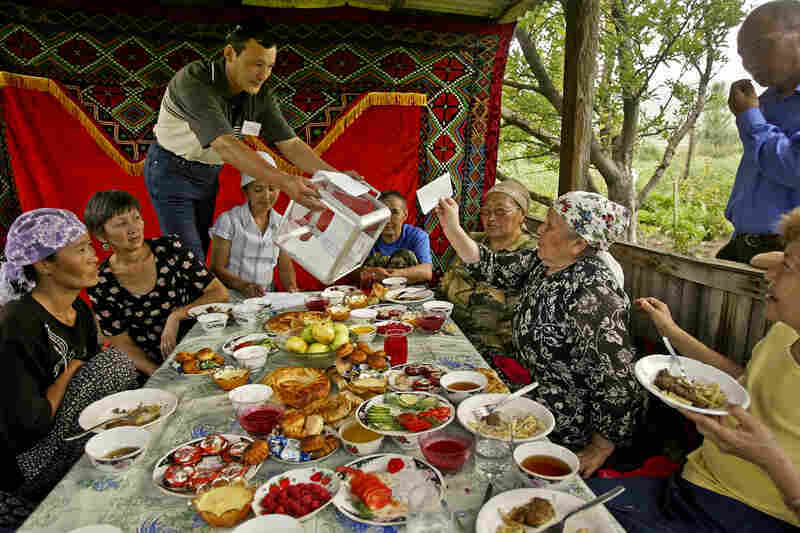 In Kyrgyzstan, Toktobubu Jantaliyeva (third from right) casts a presidential ballot as she and her relatives have lunch in their country house in the village of Gornaya, 2005. 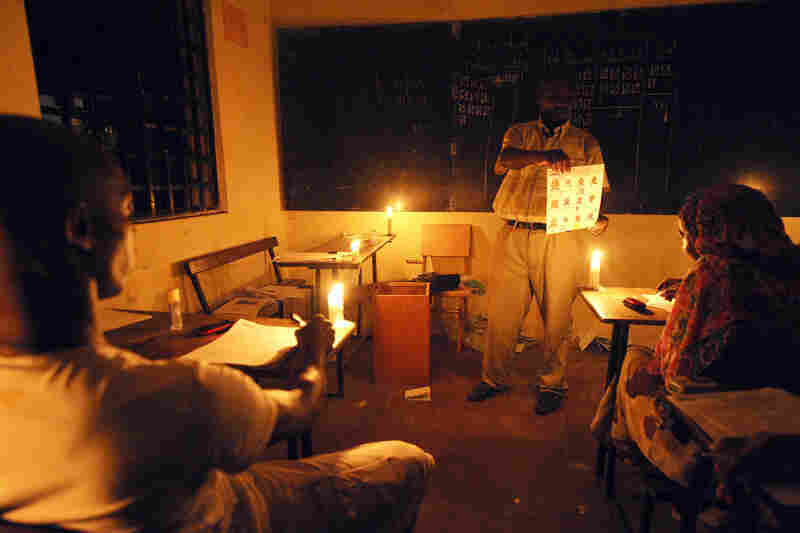 In Comoros, electoral agents count ballots by candlelight after the nation voted to replace their incumbent president, 2010. According to the National Democratic Institute, the world will be watching as results of Tuesday's U.S. presidential election are tabulated. So we thought we'd turn the tables and take a look at how voting is exercised in other countries. In the U.S., barring the occasional odd polling place, most engaged citizens file into their local elementary schools and churches or, more recently, vote via mail-in ballot. But abroad we found some unorthodox approaches to voting. In Romania, a bikini is perfectly fine attire in which to vote, and in rural Kyrgyzstan, the ballot is brought straight to your dinner table. While I didn't find a polling official at my table this morning, I did cast my vote for the first time in Washington, D.C. I may not live in one of the hotly contested swing states, but I didn't want to miss out on the ritual.